Free2Surf VPN is brought to you by a United States based company. Founded in 2010, the company offers its VPN service for a wide range of devices and also offers flexible subscription plans to suit everyone’s budget. In this detailed and unbiased Free2Surf VPN Review, we check out the features provided by the company and evaluate whether its VPN plans are worth subscribing. Free2Surf offers its service through 240 VPN servers (3470+ IP Addresses) located at 26 different cities in 14 countries. The list of server countries include United States (11 locations), United Kingdom (2 locations), Canada (2 locations), France, Australia, Sweden, Netherlands, Italy, Singapore, Spain, Poland, Chile, Hong Kong and Germany. The wide range of server locations makes it possible to unlock location restricted services like Hulu, BBC iPlayer, Netflix, Amazon Prime, Vudu, Xfinity, Pandora, CBS, HBO Go, ITV Player, ABC Player etc. from any location. The Free2Surf service also works in countries like China, Oman and Saudi Arabia and allows you to unlock sites like Youtube, Skype, Facebook, Gmail and Twitter. The company also allows unlimited sever changes at a single subscription price so you can unlock local content from all the 14 countries listed above. Free2Surf does not impose any kind of restriction on speed or bandwidth. The service offers unmatched speed which makes it ideal for online gaming, downloading big files and streaming HD movies. The company’s VPN servers are connected to 1 Gigabit ports and use an advanced load balancing system to deliver optimum speeds. The company allows torrenting and peer to peer sharing through its Dutch and Swedish servers. Free2Surf takes the privacy of its subscribers seriously. The company does not sell or rent subscriber information to third parties plus they do not keep logs or spy on users’ browsing activities. The service offers 128 bit encryption and hotspot protection to keep hackers and snooper at a distance and keep your data and identity safe even at public Wi-Fi spots. Free2Surf VPN service supports a wide variety of systems. The service works flawlessly from Windows, Mac and Linux based computers; iOS and Android based Smartphones and tablets; gaming consoles like Wii, Xbox and PS 3 as well as on devices like Roku, Boxee, Apple TV, Google TV, WD TV through Tomato and DD-WRT based routers. The installation is quick and easy and even VPN novices should be able to set up the system within minutes. The service uses an adaptive technology that will change protocols and ports to establish connection in case the VPN service gets blocked by the ISP. The Free2Surf offers unmatched support through 24X 7 live chat, email based system as well as Skype and Teamviewer based remote support. 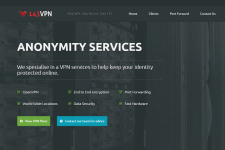 The company has published a wealth of knowledge on its official site that makes it easy for anyone to install and troubleshoot VPN problems on their own. Free2Surf offers a range of VPN plans to suit everyone’s budget and VPN needs. 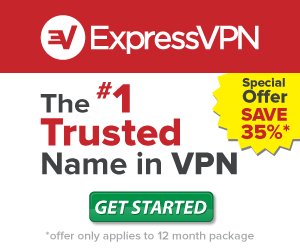 The company offers VPN plans for a day ($1.5), 30 days ($4.99), 6 months ($50) and 1 year ($85). There are no long term commitments involved and you are free to cancel your subscription at any time. The company also offers an unconditional 7 day money back guarantee for 1 month, 6 months and 1 year plans. Moreover, it is also possible to save money on already discounted prices by using Free2Surf coupons. Overall, Free2Surf offers a reliable VPN service that is worth a look. The company may not have VPN servers in too many countries but it does offer great speed and security. So if you are looking for a low-cost, flexible VPN provider that offers unlimited speed and bandwidth, make sure to check out the VPN plans from Free2Surf. For more information, please visit: www.Free2Surf.com. 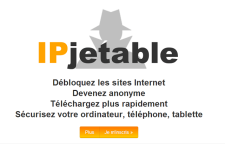 IPJetable VPN Review – Is The Service Worth A Look? Support isn’t 24/7/365! Waited 9 Hours for NO reply. Support ticket was deleted. one-day-account was created 12 hours later. 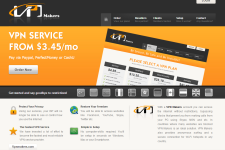 Our website is live and our service interrupted. We did changed our DNS host system from “Cloudflare” to a new one we designed, the resulting DNS change did cause a brief downtime of the main website for a short period while the DNS propagated across the internet. Our “VPN Servers” were not affected. Thank you for your preference and we apologize for any inconvenience that you may have had. Dec. 10. 2013 Free2 surf is gone. Kaput. I am trying to find out if the shutdown is forever. Any info on their demise? E§ven their own website is gone.